Two shrimp recipes back to back. Can you tell what I found in sale at the grocery store this week?! This time it is my spin on an Italian favorite, shrimp scampi. 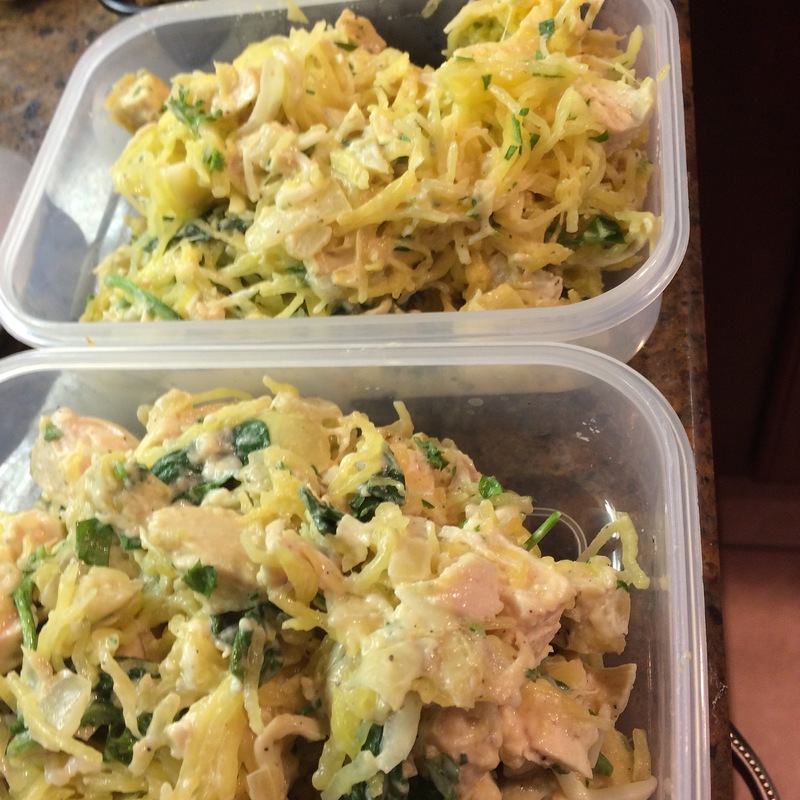 This recipe is made low carb using spaghetti squash instead of the normal angel hair pasta. If you have never worked with sphagetti squash because you are intimidated by its size and have no clue what to do with it, now is the time to overcome that fear. 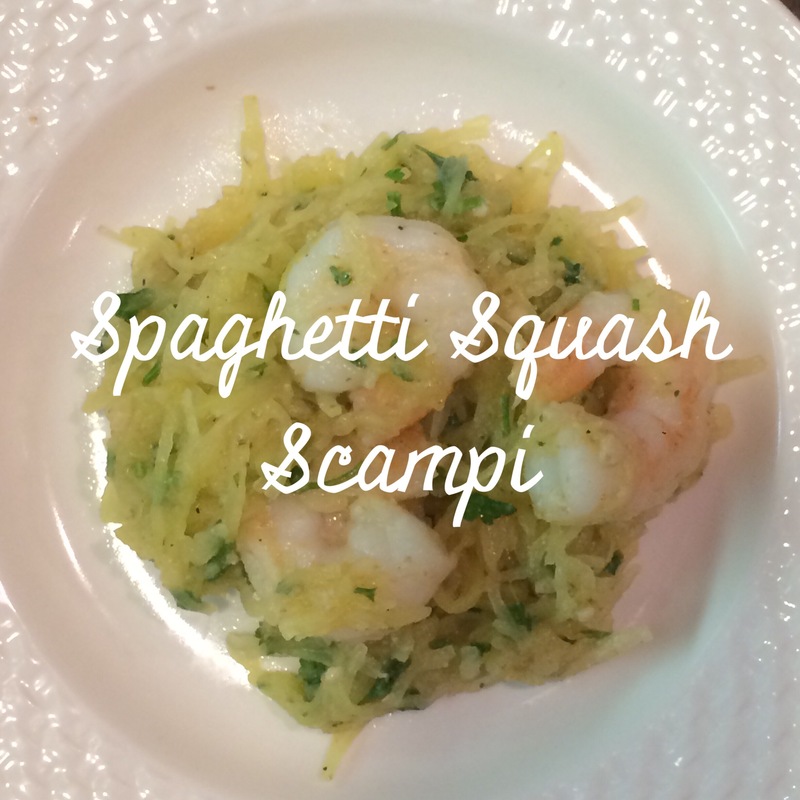 Spaghetti squash is extremely versatile and can replace pasta in any of your favorite dishes. When cooked, it strands into fibers and looks like — you guessed it, spaghetti! Cauliflower is such a versatile veggie! It really tastes like what ever you cook it with! This allows for a world of possibilities! I’ve already made faux mashed potatoes with the cauliflower. Now, I’d like to share a recipe starring cauliflower as a substitute for rice. I found these need packages of already “riced” or crumbled cauliflower at Target, and it made life much easier! You certainly do not need to buy the pre-crumbled cauliflower– it is cheaper to actually buy by the head. If this is how you purchase you can simply finely chop the cauliflower, or grate the cauliflower raw into a large bowl. 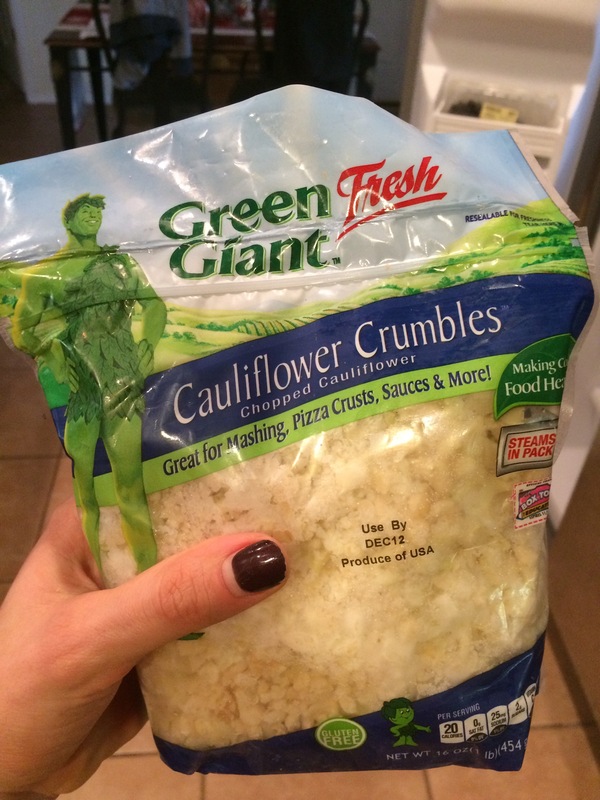 Once you have your grated cauliflower– add veggies!! Any and all veggies you would like in your stir fried rice. I chose peas, onions, carrots, broccoli, and green beans! I supersized this recipe so I could meal prep with it for the next few days! 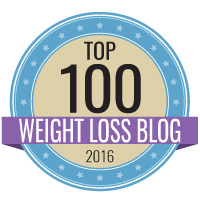 I made a total of 10 1-cup servings!! 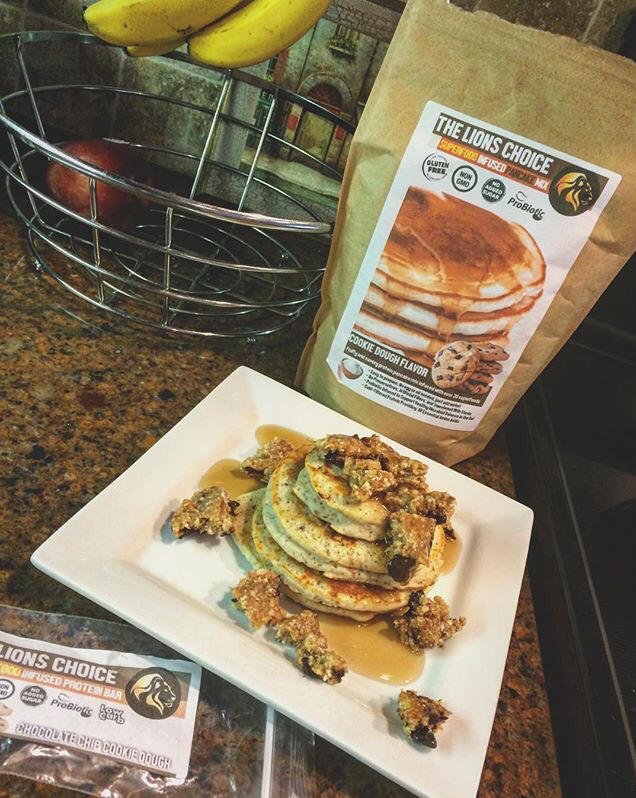 If you do not plan on meal prepping leftovers, I would recommend cutting the recipe in half!